Online classifieds firm Quikr India Pvt. Ltd has acquired ZapLuk, an on-demand beauty and wellness services provider, to grow its beauty services brand AtHomeDiva. ZapLuk co-founder Lavanya Hariharan and about 50 stylists and professionals will be absorbed into AtHomeDiva, Quikr said in a statement. ZapLuk's other co-founders, Manan Maheshwari and Mahesh Gogineni, and CTO Varun MS will move on to pursue other business interests. This is Quikr's second acquisition of an on-demand beauty services firm within four months. In May, it bought Gurgaon-based Salosa for an undisclosed amount. Quikr had rebranded its in-house beauty services offering as AtHomeDiva in July. AtHomeDiva falls under the QuikrServices vertical, and these acquisitions will allow Quikr to strengthen its focus in an increasingly crowded segment. "ZapLuk's operational strengths, trained pool of stylists and professionals and highly engaged user base in Chennai and Hyderabad will allow us to expand the reach of our AtHomeDiva brand in these markets rapidly," said PD Sundar, head of QuikrServices. Hyderabad-based ZapLuk, operated by ZapForce Technologies Pvt. Ltd, was founded by BITS Pilani alumni Maheshwari, Gogineni and Chakradhar Dandu in August 2015. The firm had raised an undisclosed amount of angel funding in December 2015 from a group of angel investors including Alok Sharma, former CEO of Apple India. In June, Chennai-based salon services provider Pamperazi, founded by Hariharan, merged itself with ZapLuk. Besides standalone beauty services providers, horizontal home services players such as Housejoy and UrbanClap also offer beauty services. In fact, a large chunk of revenue for many home services players comes from the beauty segment, which offers high frequency of transactions, high margins and repeat business. Earlier this month, Quikr secured Rs 130 crore ($19.4 million) from Brand Capital, the ad-for-equity investment arm of media conglomerate Bennett, Coleman and Company Ltd.
Quikr has struck acquisitions in other segments, too. In January, it acquired real estate portal CommonFloor to push ahead with its strategy to create separate verticals for key segments such as cars, electronics, jobs, education and real estate. 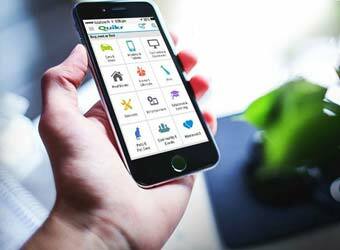 Last month, Quikr entered the white collar jobs segment by acquiring IDG Ventures-backed Abhiman Technologies Pvt. Ltd, which runs jobs portal Hiree.com.